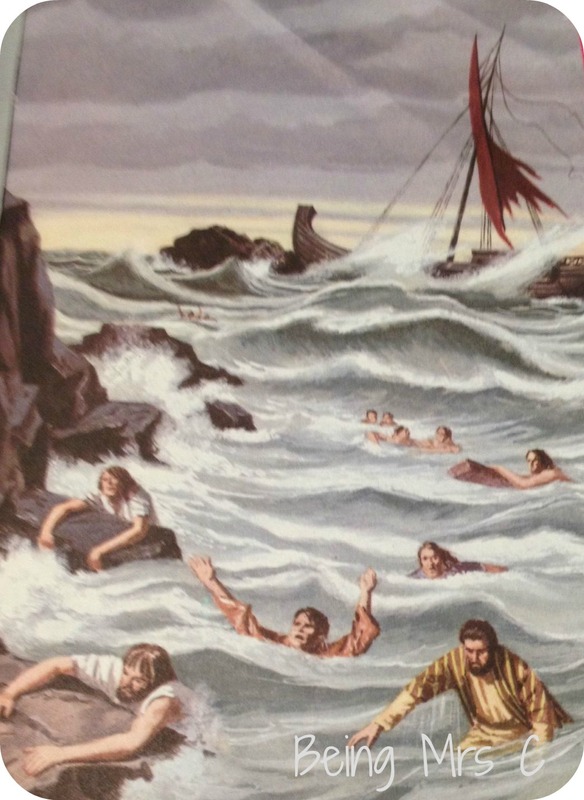 There’s nothing like a Ladybird book for making you realise just how little you know! That’s certainly the case with the second of my finds from our Cornwall holiday – The story of Saint Paul. I was rather pleased with this find as it’s my first book from their Religious series (series 522), but when I came to read it I soon discovered how much of my Religious Education from school I’ve either forgotten, or was never taught in the first place. 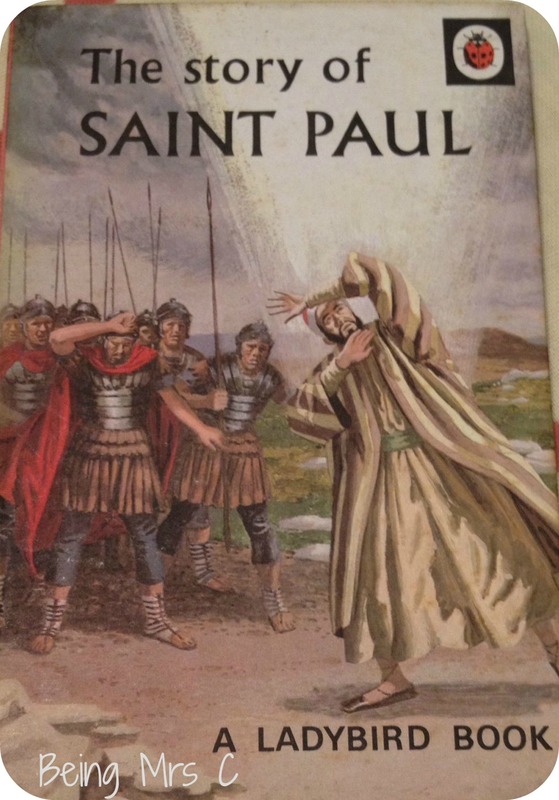 Now St Paul was actually born around the same time as Jesus and as a child was called Saul. He was the son of two prominent Jews in the Mediterranean sea-port of Tarsus. 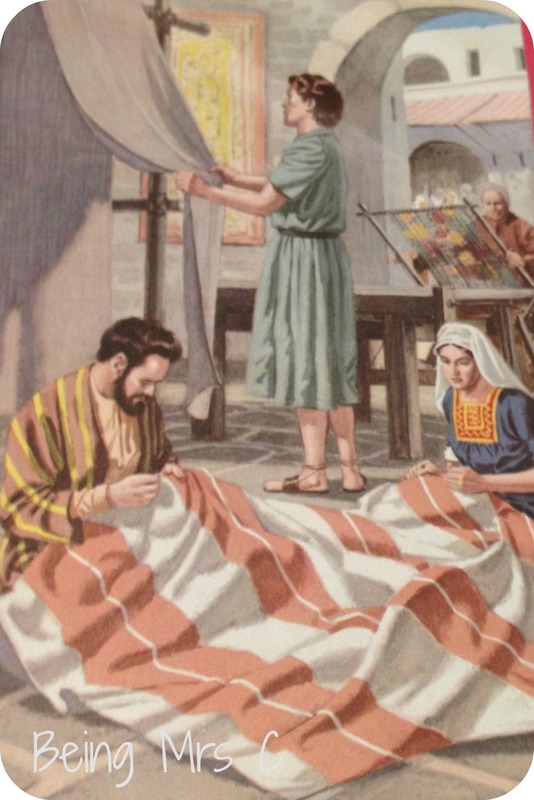 Saul was a bright student and went to jerusalem to study to become a Jewish lawyer. Jews believed that religion was the keeping of all the rules that exist under Jewish Law and obedience to every rules made a person pleasing to God. 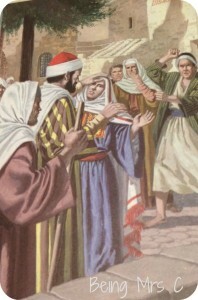 When Saul heard about the disciples of Jesus preaching that Jesus, whom the Jews had crucified, had risen from the dead and was the son of God and that people should trust in Him to forgive their wrongs as this was the only way of salvation acceptable to God he saw that this teaching was directly opposed to Jewish Law. He was therefore determined to put an end to this new religion. He learnt more about these teachings and became more and more convened that it needed to be stopped. When the Pharisees stoned to death one of Jesus’ believers, Stephen, for preaching about his beliefs Saul approved of his death. One day, as Saul was leading a party of soldiers to Damascus to arrest and imprison believers of Jesus he was suddenly struck down by a blinding light and he believed that he had seen and heard Jesus. 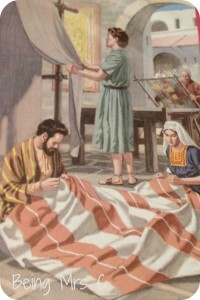 Saul converted to Christianity and started to use his Roman name of Paul and began to preach about Jesus. Quite a turnaround, and one which confused many of the Jews. From here on he travelled around taking news of Jesus Christ to Jews and non-Jews in other lands. Along the way he met many challenges and much opposition. He was stoned and threatened with death several times. 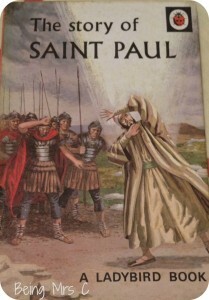 The Story of Saint Paul tells all this story as well as going in to a huge amount of detail about all the places he went to preach and all the things that happened to him. I think it far to say that my religious knowledge has increased massively from reading it, but it’s not exactly a thrilling read, especially for a child! As ever with Ladybird books, it’s beautifully illustrated and I can see it (and probably others from the same series) being used as Sunday School prizes, which is exactly what the inscription inside the copy I’ve picked up suggests. I think that I have a couple from this series, they are so detailed! Such gorgeous illustrations, as always. 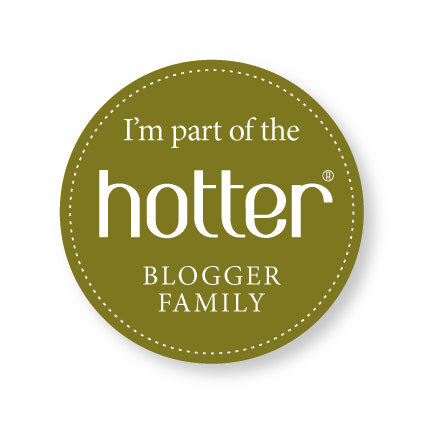 I’m joining in this week with How it Works – The Computer http://www.jenniferslittleworld.com/2014/08/ladybird-tuesday-how-it-works-computer.html Thank you for hosting!